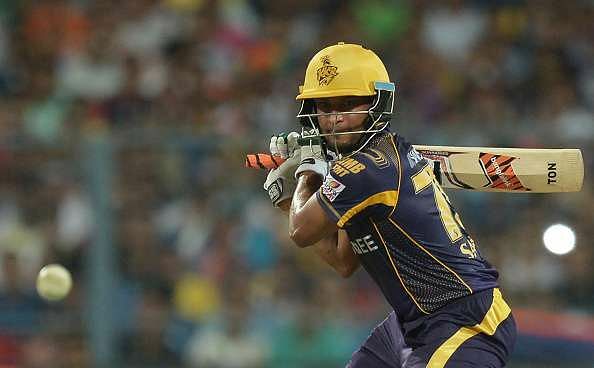 In another blow for Kolkata Knight Riders, who have lost their last two games in IPL 2017, Bangladesh all-rounder Shakib Al Hasan won't be available for the remainder of the tournament as he leaves for national duty ahead of the tri-series in Ireland. With the ICC Champions Trophy less than a month away, Bangladesh all-rounder Shakib Al Hasan will travel to Ireland on Thursday to be with his teammates, take part in the tri-series between Ireland, Bangladesh, and New Zealand ahead of their two warm-up matches, then followed by the Champions Trophy. Although the Bangladesh all-rounder was recently named his country’s T20I captain, he has played just one match in IPL 2017. The 30-year-old scored a solitary run and conceded 31 runs in three overs without picking up a wicket for KKR in his only game of the tournament, against Gujarat Lions. Unfortunately, with the tri-series against Ireland and New Zealand, Shakib hasn’t been afforded the luxury of another opportunity as he leaves for the United Kingdom to join up with the national squad and begin preparations for the Champions Trophy. Bangladesh take on Ireland and New Zealand in a tri-series that begins on May 12 and concludes on May 24. After that Bangladesh will play two warm-up matches against Pakistan and India before taking on England in the tournament opener on June 1. KKR will be looking to get back to winning ways as they take on bottom-placed Royal Challengers Bangalore on Sunday (May 7). Having lost their last two matches in IPL 2017, Gautam Gambhir would have wanted the opportunity to make some changes and give players a go ahead of the playoffs. The loss of Shakib Al Hasan means that KKR don't have a lot of experience to call on from the bench if they don’t get back to winnings ways. And with the Champions Trophy less than a month away, it is no big surprise to see one of Bangladesh’s brightest hopes go to the United Kingdom to get some games under his belt ahead of the tournament. 0 Komentar untuk " KKR set to lose Shakib Al Hasan for remainder of the tournament to national duty IPL 2017"